Getting ready for a royal feast. 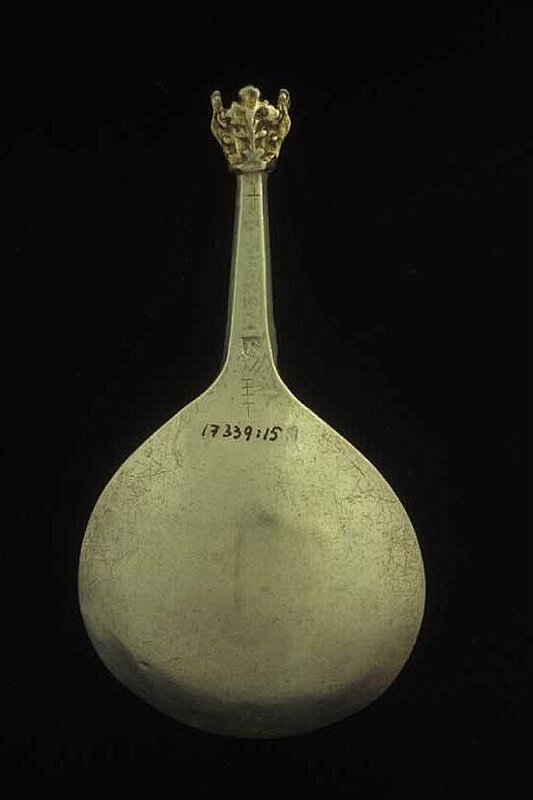 Silver spoon found in Sweden. 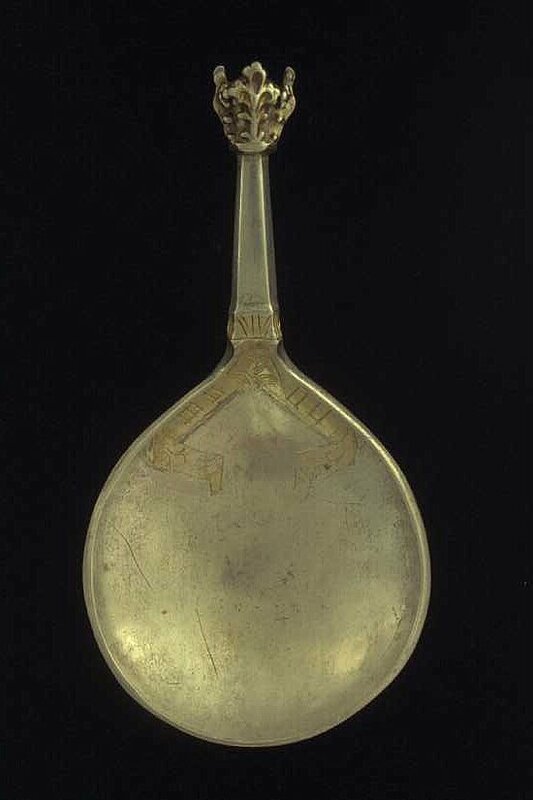 This is one of seven similar spoons found in a large silver treasure discovered in Sollentuna and now in the collection of the Historiska Museet. I just finished the wax few days ago. The final shape of the spoon will me made after it will be casted in metal - i will hammer it to make it deeper. Afterwards the ornaments will be engraved and partly plated with gold. Wax model of the silver spoon form the Historiska Museet. Black and white version to give a better idea of how it will look in silver. The picture of the spoons together with all the treasure elements. 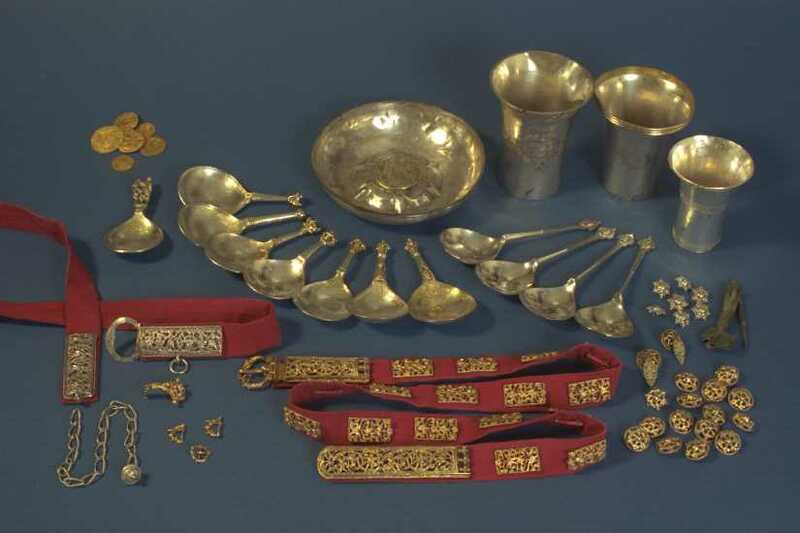 Spoons photographed with the rest of the treasure: cups, belt elements, buttons, candleholder. Finally the original spoon front and back view. Note the beautiful engraved and plated ribbon under the handle. The original spoon from the Historiska Museet.